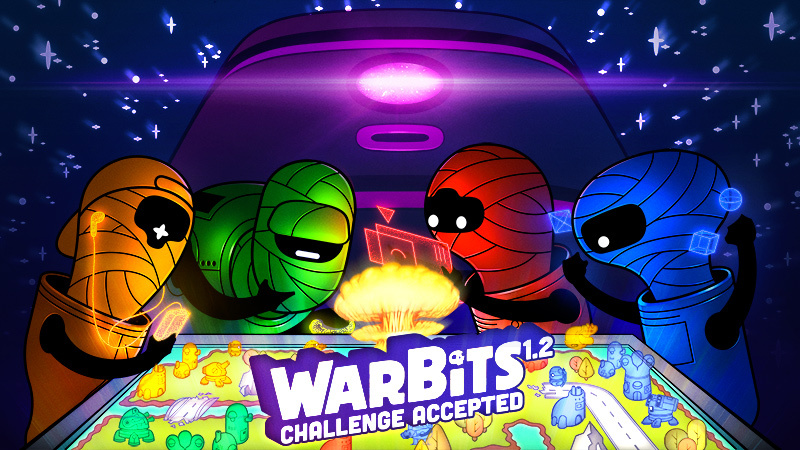 We’re excited to release Warbits 1.2 with a brand new challenge mode, coming tonight (midnight 4/19). The new patch includes 30 missions across 3 categories: Skirmish, Puzzle and Veteran. Skirmish and Puzzle missions can be played at your leisure while Veteran missions can be unlocked after earning platinum on the matching Skirmish mission. This update also brings much needed iOS 10 iMessage invite support for custom games so you can duke it out with your friends. This month marks Warbits’ 1 year anniversary! To celebrate we’re dropping the price from $3.99 to a measly 99¢. Once the sale is over we’ll be hiking the price up to $4.99, so get in while the gettin’s cheap.